What does the Danish Medicines Agency accept as GMP documentation for active ingredient manufactures? the auditor is appropriately qualified. the auditor is independent of the company to be audited. the auditor is familiar with the "Rules Governing Medicinal Products in the European Union, Volume 4, Part II." the audit report is adequate. In connection with third-party audit reports, summaries are not accepted. the audit has delivered a satisfactory result. the pharmaceutical manufacturer has signed a contract with the auditor. The pharmaceutical manufacturer must make a documented assessment of the audit of the API manufacturer, which must include an assessment of the extent to which the API manufacturer complies with the GMP requirements and whether the audit report is adequate. An assessment of any conflicts of interest on the part of the auditor should also be made. An audit report is generally valid for two years. However, if the API manufacturer's circumstances change substantially, the period of validity may be shorter. Do some active ingredients in Denmark require authorisation pursuant to Section 39 of the Danish Medicines Act? Are there any exceptions to the rules governing active pharmaceutical ingredients? What are the consequences if an API manufacturer has not been audited? As of 17 December 2005, medicinal products that contain an active pharmaceutical ingredient supplied by an unaudited manufacturer are quarantined on inspection until the API manufacturer has been audited. What approach should importers of medicinal products from third countries take with respect to active pharmaceutical ingredients? Importers of medicinal products are considered identical with pharmaceutical manufacturers. The Danishe Health and Medicines Authority therefore expects importers of medicinal products to have audited the manufacturer supplying the active pharmaceutical ingredient contained in the imported product. We accept importers, i.e. the EU releaser and not the marketing authorisation holder, to have entered into a written contract with a third-country manufacturer in which the responsibility for the audit has been delegated to either the importer of the medicinal product or the third-country manufacturer. The audit reports MUST, in any case, be available for inspection by the Danish Medicines Agency at the pharmaceutical importer site. What is the basis for the inspection and on what grounds are negative opinions given? The basis for the inspection of active pharmaceutical ingredients is provided in the "Rules Governing Medicinal Products in the European Union, Volume 4, Part II." This document is also known as the "Rules Governing Medicinal Products in the European Union, Volume 4, Annex 18" or "ICH Q7A." If, within an area, special rules exist pursuant to the Rules Governing Medicinal Products in the European Union, Volume 4, these rules will also be applied. Will all API manufacturers be able to request an inspection? All Danish API manufacturers will be able to request an inspection by the Danish Medicines Agency, even if the active ingredient is for export only. Non-Danish companies may request an inspection by the Danish Medicines Agency if the active pharmaceutical ingredient is contained in a medicinal product marketed in Denmark. Whether the active ingredient is highly potent. Whether the active ingredient is toxic. Whether the active ingredient is used in paediatric medicinal products. How do we request an API inspection? You can request an active ingredient inspection by sending a written application requesting a inspection by ordinary mail, email or fax to the Danish Medicines Agency. The requesting party should indicate that the company will pay all costs associated with the inspection including the applicable fee. The request should also provide a contact person at the company and his or her email address. For companies outside the EU, the application should include an official invitation for inspection at the company, since the Danish Medicines Agency's inspectors in many cases will need a visa to travel to the countries concerned. The application must also provide information about the medicinal product and pharmaceutical manufacturer the active ingredient is supplied for. What does the Danish Medicines Agency charge for an inspection? The Danish Medicines Agency charges a fee for any requested inspection of an API manufacturer. The fee is fixed annually in the "Executive Order on fees payable for medicinal products, etc. ", which can be obtained from the website of the Danish Medicines Agency under Legislation. Who will be invoiced for the inspections? If the inspection has been requested by the API manufacturer, the manufacturer will be invoiced for the inspection. If the inspection has been initiated by the Danish Medicines Agency, the Danish Medicines Agency will cover the costs based on already charged fees. Does the Danish Medicines Agency grant an authorisation (GMP certificate) following inspection? 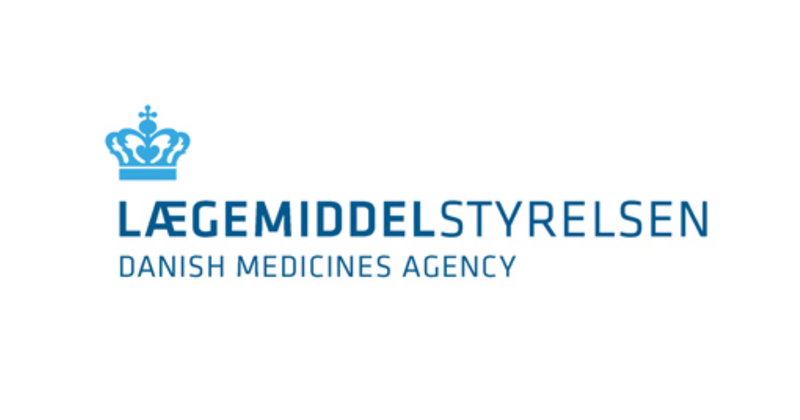 The Danish Medicines Agency issues a GMP certificate within 90 days of an inspection provided that the follow-up on the inspection is adequate. The date of the certificate will be the last date of the inspection. If an inspection causes the Danish Medicines Agency to conclude that a reinspection is necessary, no GMP certificate will be issued, in which case the company must request a new inspection. When does the Danish Medicines Agency inspect an API manufacturer? The Danish Medicines Agency may only carry out an inspection of API manufacturers if one of the below triggers for inspections, which are stated in EMEA's guidance document (Ref. EMEA/INS/GMP/50288/2005), are present. The Danish Medicines Agency had detected inconsistencies in a marketing authorisation application for a medicinal product. Other EU authorities, i.e. the European Commission, EMEA, EDQM or other EU member states has requested the Danish Medicines Agency to carry out an inspection. The API manufacturer is suspected not to comply with the 'Rules Governing Medicinal Products in the European Union, Volume 4, Part II'. A medicinal product has been the subject of repeated complaints. A medicinal product has been withdrawn, etc. The API manufacturer has requested an inspection, in which case the Danish Medicines Agency will carry out a risk assessment prior to accepting the request, cf. the above. Will the Danish Medicines Agency inspect API manufacturers at regular intervals? Generally, the Danish Medicines Agency will not inspect API manufacturers at regular intervals unless the manufacture concerned is subject to an authorisation pursuant to Section 39 of the Danish Medicines Act (biological or sterile active ingredients). API manufacturers who wish to obtain a GMP certificate must request an authority inspection. What are the Danish Medicines Agency's plans for inspection of API manufacturers? Every year, the Danish Medicines Agency allocates resources for a number inspections of API manufacturers. The number of inspections depends on other activities in the Inspection Department. The Danish Medicines Agency selects API manufacturers for inspection based on a risk assessment of API manufacturers supplying medicinal products to the Danish market and on the basis of requests. Companies selected for inspection will be notified 4 to 8 weeks in advance of the inspection. The Danish Medicines Agency expects part of the inspections to be carried out in third countries.